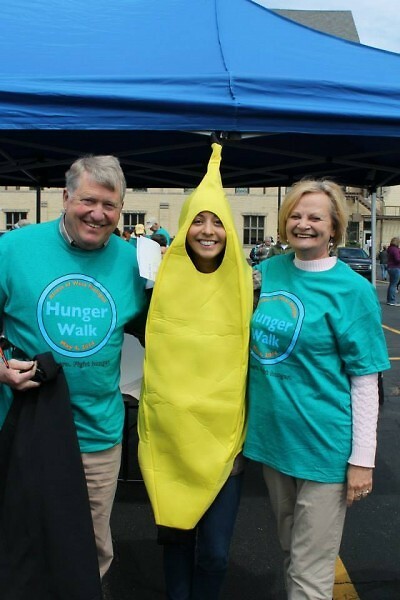 Former executive director of Access of West Michigan celebrates the 40th Annual Hunger Walk by noting how change can happen in the context of a community. What: 40th Annual Access Hunger Walk, a 5K walk through downtown Grand Rapids. The Walk kicks off with fun activities for kids, a food truck and live music! When: Sunday May 7th starting at 1:30p.m. Why:The goal of the Walk is to bring together hundreds of walkers, congregations, businesses, and donors to support 20 local and international non-profit organizations that are working to create a thriving food system in which all people have access to healthy and affordable food. The 40th Annual Walk is focused on both celebration of the work we have done in 40 years and solidarity - standing with those who yet experience systemic injustice and poverty. You can get involved by forming a walk team with friends, family, or coworkers. You can also donate or provide a sponsorship. Marsha DeHollander is looking forward to joining with her community and being a part of Access 40th Annual Hunger Walk, for the 33rd time. But the Hunger Walk is just one of the many ways Grand Rapids native DeHollander has been involved in promoting a thriving food system. In fact, she was on staff at Access for 25 years. Prior, she helped start the food pantry at her church, Olivet Reformed Church in Grand Rapids. Yet food distribution for her felt like something was lacking. She connected with a caseworker at Access of West Michigan and learned not only how to provide food for those in her community, but also how to develop relationships at the same time. When a caseworker position opened up at Access, DeHollander was encouraged to apply. From there, DeHollander served on staff at Access for 25 years, moving from caseworker to executive director for 10 years and then program director for 5 years. Currently, she helps coordinate Poverty Simulations, is on the Access board and frequently meets with staff members. In 1989, DeHollander went with a group from GRACE to Nicaragua and Honduras to learn about how the funds from the Hunger Walk were being used. “What we found is that they used it for development,” she said. They visited farms, women’s sewing shops and micro-finance businesses that all worked together as a community. She returned from the trip with frustration of why things in her community were still on an emergency-need basis. “Let’s try to do something different,” she said. Today, the walk focuses more on local development work like community gardening projects, food system policy work, nutrition programs, food pantries, gleaning programs, food justice and community development initiatives. DeHollander said it’s all about supporting others, especially the poor. During the event, DeHollander uses the conversational pace to educate. As she walks with her friends from church or her grandkids, she can describe the impact that beneficiary organizations in the walk have. She advocates for people to get involved. For DeHollander, community empowerment happens within a community.The Hunger Walk is for everyone. “Everyone has something to contribute, even though it can look very different,” she said. From donating, to volunteering, to cheering and to walking that 5K, everyone can get involved. 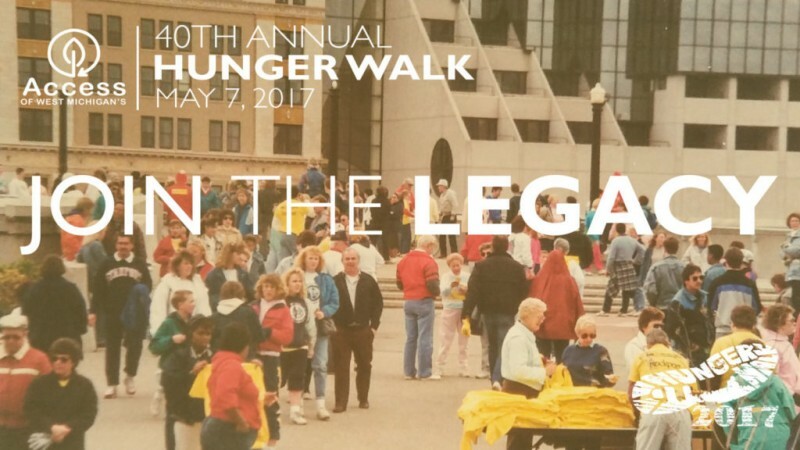 As the community celebrates the 40th Annual Hunger Walk on May 7, 2017, DeHollander calls it an “accomplishment.” And she added, “A phrase I’ve used throughout my career at Access is that the community can accomplish so much if they’re willing to work together and not care who gets the credit but work toward a common goal.